The battery for adventurers! Light, compact and shock-resistant, this hybrid battery is water-resistant (suitable for outside use) and can be recharged using daylight thanks to its solar cells. - Designed for outdoor use, particularly suitable for outdoor sports. - Supplied with a mini-USB cable. The portable backup charger for outdoor enthusiasts! 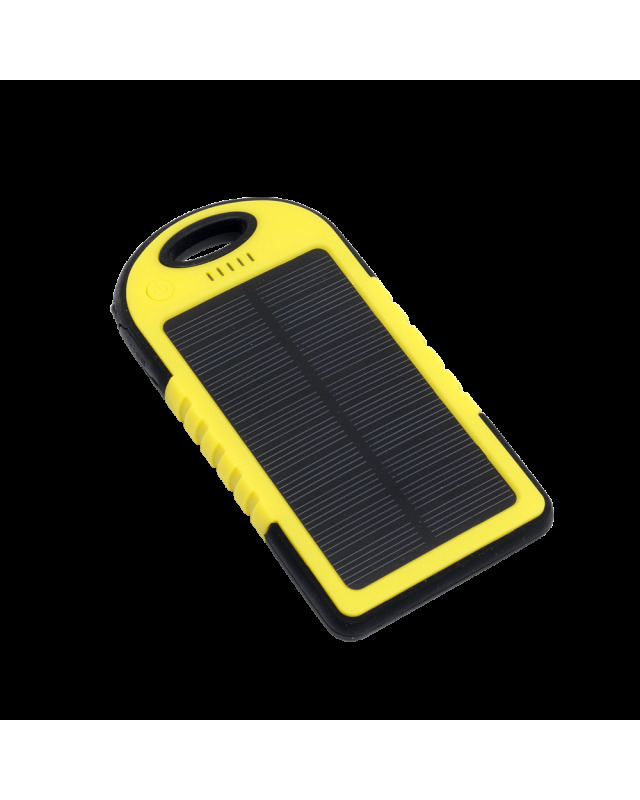 The power bank for outdoor enthusiasts! Ideal for people who practice outdoor sports, the GOO Outdoor power bank is specifically designed for outdoor activities. Dust resistant and splash proof, it is also equipped with solar panels. The GOO Outdoor power bank has built-in solar panels that allow you to charge your phone using sunlight. Charge up to two phones simultaneously thanks to the GOO Outdoor power bank's dual USB port. No need to worry - the GOO Outdoor backup battery comes with an impact-resistant silicone coating.